What event sparked your interest to get into the transplantation and led you to create the world’s largest kidney transplant center? JMP: After finishing medical residency training at the Federal University of São Paulo in 1983, I was offered a position leading a team aiming at increasing the number of kidney transplants at the same institution. At that time, less than 500 kidney transplants had been performed annually in the entirecountrywiththevastmajorityretrievedfromlivingdonors. My previous experience had been scant, and I had only takencareofahandfulofkidneytransplantrecipients.Toenhance my experience, I spent 3 months visiting the 2 leading kidney transplant centers in Brazil: the Hospital Evangélico in Londrina and the Hospital das Clínicas in São Paulo. Immediately, I became passionate about being part of that group of transplant pioneers. Realizing that transplantation involves cooperation of a well-coordinated team from of a wide range of medical specialties, I envisioned that the field would benefit from innovative working processes that I had been familiar with. As a teenager, I worked as a lathe operator in a factory that produced parts on an assembly line through interconnected working stations. Items were subsequently assembled into final (nearly perfect) products, an approach that had been based on Frederick Taylor's scientific management theory aimed at improving efficiency. With those concepts in mind, I organized a transplant group that had the goal to perform 20 kidney transplants within1 year atthe Hospital São Pauloof theFederalUniversity. One needs to remember: organs at this time came from “ideal” donors and recipients had only minimal comorbidities. The allocation system for deceased donor kidney allografts had been based exclusively on ABO compatibility, a negative crossmatch test and time on dialysis. We even dared to transplant nonsensitized male recipients without performing a crossmatch test. Indeed, Professor Emil Sabbaga at the Hospital das Clinicas in São Paulo, a transplant pioneer in Brazil provided clear directives. Federal University of São Paulo Rua Borges Lagoa, 960 04038-002, São Paulo, Brazil. (medina@hrim.com.br). process of organ recovery, which most often took place in suburban hospitals. The immediate solution was to enhance my own surgical skills and learn en bloc nephrectomy and in situ renal perfusion, which I did at Moffitt California University Hospital in San Francisco in 1985 with Prof. Oscar Salvatierra's group. Following that, I went on to perform that procedure myself for over 10 years for our academic institution. The inauguration of Hospital do Rim in 1998, with 151 beds, offered the opportunity to fully implement my initial idea of creating a large scale healthcare model, detailed in previous publications in Transplantation.1-3 The completion of the Hospital do Rim had been based on the tireless efforts of many people, particularly members of the nephrology division of the Federal University of São Paulo. The concept reduced bureaucracy, facilitated patient access, integrated multidisciplinary efforts, and reduced the burden of multiple referrals all with the goal of optimizing the treatment of patients with end-stage renal disease. Moreover, the increased volume also allowed for continuing improvement in outcomes and interdisciplinary opportunities for basic and clinical research. I could envision that many other areas in medicine might benefit from comparable health care concepts. Who were individuals and mentors who influenced your career? JMP: Professor Osvaldo Ramos, who was a pioneer in nephrology,haddevelopedmedicalresidencyandpostgraduate programs in Brazil during the 1960s. He was my mentor, a trusted friend, and an advisor starting with my first year in medical school. I owe him my decision to become a nephrologist and later to get into transplantation. An earlier opportunity to specialize in clinical epidemiology had not appealed to me but Prof. Ramos was a tireless, natural leader with a Latin temper, always involved in multiple activities, trying to find novel solutions for a wide range of key issues. Professor Peter Morris later guided my efforts in experimental rat kidney transplantation during a fellowship in Oxford in 1989. Sir Peter emphasized a focused, friendly, and warm leadership. Numerous leaders in transplantation benefitted from his mentorship. More recently, in 2012, a meeting with Professor Joseph Murray had been very moving, and I was fascinated by Dr. Murray's friendliness, his positive approach, and his natural leadership qualities. At age 94, he presented with an immense enthusiasm for teaching and for our field in general. Throughout my career, I have had the privilege to observe the creativity of many individuals that provided unique approaches considered “outside the box.” Among them, Artur Beltrame Ribeiro, a full professor of nephrology who actively participated in national political debates, opening my mind to politics, social, and economic matters. What were the best and worst experiences in your career? JMP: The best experience occurred in 2014 when we celebrated 10 000 kidney transplants over 16 years at Hospital do Rim.Over the years, we successfullyincreasedtheproportion of deceased donor kidney transplants, allowing us to reducethepercentageoflivingdonorsfromover70%whenwe started to less than 25% currently. During this time, we participated in numerous international multicenter trials and trained many transplant physicians across the country. I am especially proud of have being elected fellow of the British Royal College of Surgeons and to the Brazilian National Medical Academy. An additional highlight had been my appointment to the sixth annual Joseph Murray visiting ProfessorshipatBrigham and Women’s Hospital, Harvard Medical School in Boston in 2012. My worst experience was the sudden death of a living donor subsequent to a massive pulmonary embolism; her kidney had been successfully transplanted to her oldest son. Where do you expect the greatest advancements in the field during the next years? Most patients will continue to benefit from kidney transplants; however, I imagine that the quality and efficiency of all dialysis modalities will improve at a rate faster than transplant-related outcomes as technological advancements seem to be implemented more straightforwardly compared with attempts to modify the complex biology of the immune system. With this prediction in mind, the decision to transplant with organs from either live or expanded criteria deceased donors will become more difficult. I believe that living donor kidney transplantation may become increasingly less acceptable, especially with young donors, when theytakeaveragelifeexpectancyand increasinguncertainties of the long-term kidney health into consideration. Limited transplant functions and chronic side effects of immunosuppression will make this decision even more challenging. I expect that clinical expertise will foster an improved integrated application of currently available immunosuppressants. At the same time, I am pessimistic about the developmentofradicalinnovationsthatwouldleadtorobust and durable tolerance protocols through the application of stem cells or in the areas of xenotransplantation or organogenesis. I also do not expect major advancements in molecular diagnostics for acute rejection replacing histology as the gold standard. What have been greatest recent discoveries in the transplantation in your opinion? JMP: The growing success of composite organ and tissue transplants and the development of new, highly effective and safe oral treatments for hepatitis C have perhaps been the greatest innovations during the last 10 years. What do you see as the greatest challenges for transplantation in Brazil and South America? JMP: Latin America, a region with 20 countries and 600 million inhabitants, has relative social stability and few major conflicts. Spanish is the dominant language on the entire continent with the exception of Brazil, which somehow hinders the country’s full integration. Achievements in transplantation have been higher than initially expected, considering the limited economic environment and access to health care. The first transplant in the region occurred in the mid 60s, only shortly after the initiation of transplant programs North America and prior to the first transplants in some European countries. Renal transplantation was eventually established as a routine procedure in most Latin American countries after 1980.6 Thefirstsegmentalliveliver transplant was performed in 1988 by Silvano Raia,7 Professor of surgery at São Paulo State University in Brazil. Interestingly, the progress of these programs has never been curbed by any political regime in the region. It was initially under military government regime that most transplant leaders graduated and received public funding to complete their training abroad, mainly in United States, France and England. Subsequently these newly created transplant programs were consolidated during democratic regimes, now governing in most of the 20 countries of the region. 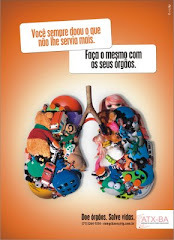 Currently more than 15 000 solid organ transplants are performed annually, including more than 12 000 kidneys. Transplant legislation is well regulated, even in countries where health coverage is not universal, with donation based on altruism, family solidarity, and strict prohibition of any kind of commerce. There are no persistent systematic irregularities in the transplant process in any of the countries in the region. In addition, Brazil has a universal public health system that has been continuously providing immunosuppressive drugs to more than 50 000 transplant patients during the past 20 years. This public health system also covers over 110 000 patients on dialysis. Waiting lists for corneal transplants are very short and paralleled by the growth solid organ transplants, a clear sign that organ donation and its social benefits have been incorporated in this society's culture. These results are largely due to the decisive influence and active participation of the Brazilian Society for Organ Transplantation, engaged in educational strategies to increase organ donation and coordinating the national transplant registry. Latin American countries frequently face economic instabilities that are largely linked to management deficiencies and variability in prices of commodities in the global economy.Ensuringcontinuousresourcestosupportstableandrobust health care remains thus a major challenge. Obvious goals in organ transplantation are a reduction of currently high delayed graft function rates linked to inadequate hemodynamic donor management in addition to geographic disparities in transplant rates. Transplant volumes, for example, are more than 5 times higher in the Brazilian South and Southeast compared to Central and Northern regions, figures that parallel the economic strength of those regions, clearly demonstrating geographic disparities to access. What opportunities do you see in Brazil and South America for transplantation? JMP:Latin America has witnessed the largest growth inthe number of organ donors per million inhabitants worldwide. During the past 12 years, donors have increased from 2 to 8 per million. A further increase in organ donation seems possible short term and should therefore represent the preferable way to expand transplantation. A sensitive approach and prudent supervision appears necessary when considering an introduction of nonrelated donation, paired exchange programs and donations after cardiac arrest. This cautious approach is furthermore supported by potential failures, legal disputes, and public controversies that may also impact the current growth in deceased (brain dead) donor availability. Transparency but even more so prudence in utilizing all availableresourcesappearnecessarytoavoidanyirregularity in organ allocation. Why should people aspire to a career in the transplantation field? JMP: Key will be an enthusiastic mentorship by an expert who is driven by commitment and passion for the field and for those who benefit from the art. Transplantation is so fascinating, as the field is second to none in allowing us toliveour medical vocation,theinvisibleforcethatmotivates us to develop innovation, achieving expertise in an exciting multidisciplinary approach combining science and clinical excellence to provide patients with a new lease on life. The transplant specialist is “wedded” to the transplanted patient assuring the best possible outcome while constantly exercising critical thinking. Although we like to see all our decisions based on evidence or meta-analysis, each patient is unique and many of our decisions are not purely evidence driven. JMP: Generosity and focus are vital. Nevertheless, the most important piece of advice is to put yourself in the patient's shoes and consider whether you, with your medical knowledge, would accept renal transplantation with all its complexities over dialysis. It seems prudent to understand the dilemma of accepting an organ from a living or a marginal donor. What do you like to do most when you are not working? JMP: I like to watch any kind of sports, preferably in the stadium rather than on television. Besides soccer, the Brazilian national sport, I am one of the few Brazilians who enjoy being in a ballpark watching baseball or following a football game. In fact, in 2013 I had the opportunity to watch the Super Bowl between Denver Broncos and Seattle Seahawks at Metlife Stadium. I regularly enjoy physical activities, I take stairs and avoid elevators. When my physical condition started to limit my ability to play soccer, I took up long-distance cycling and have completed a few cycle routes including the Camino de Santiago. 1. Medina-Pestana JO. Organization of a high-volume kidney transplant program—the “assembly line” approach. Transplantation. 2006;81: 1510–1520. 2. Lorber MI. High-volume kidney transplantation in a developing economy.Transplantation. 2006;81:1521–1522. 3. Oniscu GC, Forsythe JL. The assembly line approach in kidney transplantation—back to the future? Transplantation. 2006;81:1523–1524. 4. Thabit H, Tauschmann M, Allen JM, et al. Home use of an artificial beta cellin type 1 diabetes. N Engl J Med. 2015;373:2129–2140. 5. Carpentier A, Latrémouille C, Cholley B, et al. First clinical use of a bioprosthetic total artificial heart: report of two cases. Lancet. 2015;386: 1556–1563. 6. Medina-Pestana JO, Duro-Garcia V. Strategies for establishing organ transplant programs in developing countries: the Latin America and Caribbean experience. Artif Organs. 2006;30:498–500. 7. Raia S, Nery JR, Mies S. Liver transplantation from live donors. Lancet.